Since they were introduced over 20 years ago, Uniformed Task-Based Management System (UTBMS) billing codes have brought clarity to billing and related data analysis. In fact, clients are now increasingly using UTBMS billing codes to analyze much more than just the cost of legal services. For those who might not be familiar, UTBMS codes are used to classify legal services and expenses performed by a law firm or other vendor. UTBMS billing codes categorize legal work and expenses, whereas the Legal Electronic Data Exchange Standard (LEDES) provides uniform data formats for UTBMS-coded invoices to be submitted. Therefore, lawyers often refer to UTBMS codes as “LEDES codes”, although this is a bit of a misnomer. The utilization of UTBMS billing codes allows both clients and law firms to track and compare specific legal services and expenses and then map these data points to particular outcomes. Stated differently, UTBMS codes allow “Moneyball” kinds of analyses for law firms and clients. However, inaccurate coding, as well as frequent use of default or catch-all codes, and random or non-uniform application of billing codes, all have a negative impact on the valuable data analysis and reporting envisioned and enabled by UTBMS codes. When billing codes do not accurately reflect the services or expenses provided, the billing codes become essentially useless. Without accurate and uniformly applied UTBMS codes, the UTBMS goal of allowing law firms and clients to visualize profitability and make impactful decisions is substantially thwarted. If you don’t already use UTBMS codes and LEDES formatted invoices, or if you are looking to strengthen your knowledge on the subject matter, this article will act as a guide on how to effectively extract the most from this valuable data. UTBMS codes came about when law departments at companies purchasing large amounts of legal services wanted a better understanding of the services they received from outside counsel and other vendors. Imagine trying to make sense of legal spending based on bills that include only a vague description of services performed by multiple timekeepers for one day, with multiple intertwined paragraphs or pages to describe the services. The legal sector and the corporate world saw room for improvement and acted upon it. In a joint effort to bring more transparency to this issue, the American Bar Association, the Association of Corporate Counsel, and PricewaterhouseCoopers created a unified task-based billing standard known as UTBMS. UTBMS creates categories of specific legal tasks and expenses and then assigns codes to those discrete tasks and expenses. By associating these codes with time and expenses entries in invoices, the UTBMS codes allow clients to track their legal spending based on the specified categories. This, in turn, allows for greater data analysis, reporting, and fact-based decision making. In addition to the problems with trying to organize and make sense of diverse legal tasks and expenses, the necessary information presented on paper bills was impossible to digest and analyze, so therefore insufficient. Accordingly, once the joint group completed the UTBMS billing codes standards, their efforts moved to create a standard format for the exchange of billing information. Diverge from existing formats only if absolutely necessary. Only ask for information the law firm is typically able to provide from their financial system. Meet the needs of corporations, law firms, and legal industry software vendors to the maximum extent possible consistent with the first four criteria. Using the LEDES standard formats, receiving systems can electronically assemble billing tasks and expenses into more easily comprehensible formats, allowing for greater ease of review and speed of payment. This alleviated much of the burden on bill reviewers. In addition, the combination of UTBMS codes and LEDES formatted invoices allows much easier internal reporting and facilitates action items based on empirical data analysis. For example, by using UTBMS codes and LEDES formatted invoices, clients can more accurately compare the services provided by outside counsel. The goal of UTBMS/LEDES coding is to create advanced metrics that allow both clients and law firms to achieve accurate internal measures of profitability and productivity, as well as to increase transparency for all parties involved. In fact, without utilizing the UTBMS and LEDES standards, it is difficult to accurately assess legal spending or to develop useful insights that rationalize outside counsel retention and legal spending decisions. But implementing the UTBMS and LEDES standards does not just benefit clients. Both law firms and clients alike benefit by being able to better understand their activities and improve efficiency. 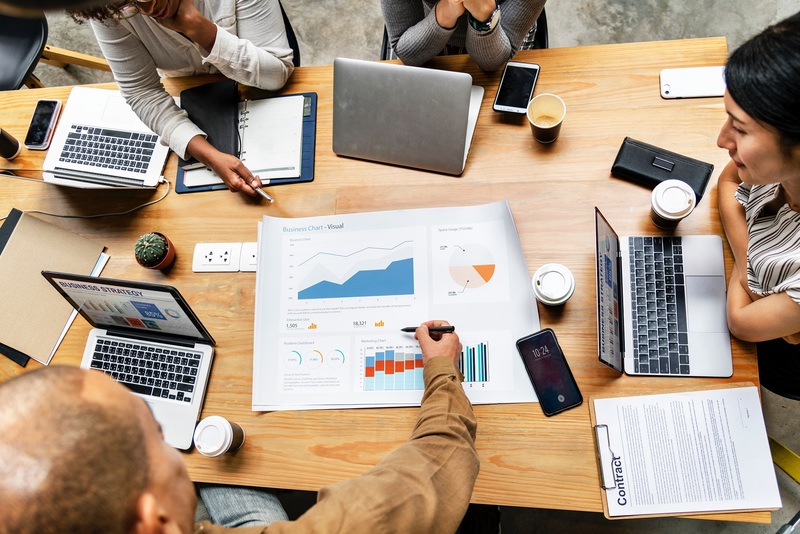 Law firms utilizing these standards to develop more meaningful metrics will be able to enhance their capabilities when it comes to strategic planning and collaboration efforts. They will also be able to communicate these results more effectively with clients. Attorney-client relationships will grow stronger in response to this as well. Running the risk of making significant decisions based on inaccurate or misleading data can be devastating. But, with uniformly applied data standards in place, clients and law firms can make more carefully informed decisions based on empirical evidence. Law firms and clients alike continue to look for new ways to increase efficiency and to develop new best practices. Implementing the UTBMS/LEDES standards offers one way to advance these goals. However, law firms and clients can take it a step further. When a standard or process is created, technology always follows suit. There are various legal tech applications that have the ability to streamline these processes and standards. But, there are a few things needed prior to implementing this technology. “While technology is requisite as an enabler for managing legal invoices, effective control rests on the creation of robust billing guidelines and accurate data collection… factors like the development of robust billing guidelines, the strict use of UTBMS codes, and the subsequent review of every line item of every invoice for conformance to your billing guidelines are prerequisite,” said Adam Beschloss and Steven Rudnick in Inside Counsel. These prerequisites are a must if you are looking to implement technology as an enabler at your company or law firm. Once those prerequisites are in place, you can then investigate the marketplace to see which application can provide your company or law firm with the best value. For clients, applications like Thompson Reuters’ Legal Tracker (Serengeti), LexisNexis’ CounselLink, and Wolters Kluwer’s TyMetrix 360° all offer efficient means of receiving bills from outside counsel, tracking invoices and payments, and conducting internal data analysis. There are many applications that can help law firms accomplish their UTBMS coding and LEDES invoice formatting needs. For example, Clio, Rocket Matter, PracticePanther, Timeslips, MyCase, LeanLaw, and other legal billing software and practice management systems all allow lawyers to add UTBMS codes and create invoices in LEDES formats. In most cases, these apps require users to select and apply appropriate UTBMS codes to time and expense entries from pull-down menus. Applications like LedesAssist eliminate the need for manual coding by automating the application of codes to billing entries. Automating the process makes UTBMS codes more valuable through uniformity in how the codes are applied. Law firms and clients should determine what application will provide the most value to their specific use case. Your firm or law department can use the data you already have to predict outcomes and related expenses. In addition to billing and cost analyses, “[l]egal analytics seems to take this to the next step by mining data in case dockets and filings, and then aggregating the data to reveal trends and patterns in past litigation that can be used to inform legal strategy,” said Annie Dike in Bulls Eye’s Expert Legal News. Looking at Case Crunch’s lawyer challenge, we can see what potential predictive analytical tools hold for your firm. Case Crunch’s challenge included over 100 commercial lawyers against its computer program who were both given the basic facts of hundreds of PPI mis-selling cases in an attempt to see who could better predict whether the Financial Ombudsman would allow a claim. The results from the 775 prediction submissions showed the computer as the clear victor with an accuracy rate of 86.6%, compared with 66.3% for the lawyers. By combining internal litigation records with billing data for the related cases, law firms and law departments can do even more. The potential of standardized coding and the data it provides are limitless, and its application extends outside of just billing. The adoption of the UTBMS and LEDES standards has thus far been driven by clients who seek more data and information about the services they pay for. However, for law firms as well, having these tools in place to use their data and information more accurately will make lawyers more competitive and efficient. Educating yourself on the UTBMS and LEDES standards to see the added value they can provide for your company or law firm is the first step. You can then implement these standards to eliminate the ambiguity involved with billing data, and better understand areas for improvements — whether inside a law firm or from a client’s perspective. The benefits are for everyone. Utilizing the available technology will put law firms at the forefront for the legal services they offer because of the greater transparency in both their billing and their internal metrics. In addition, clients will be able to manage their costs more effectively and to predict more efficient outcomes based on legal spend. This article was first published in Law Technology Today on 11/14/2018.